Nowadays, waste sludge treatment and disposal technology has mainly adopted high-temperature carbonization method to extract carbon form sludge, which is not only efficient, but also can save the investment and the consumption of energy. 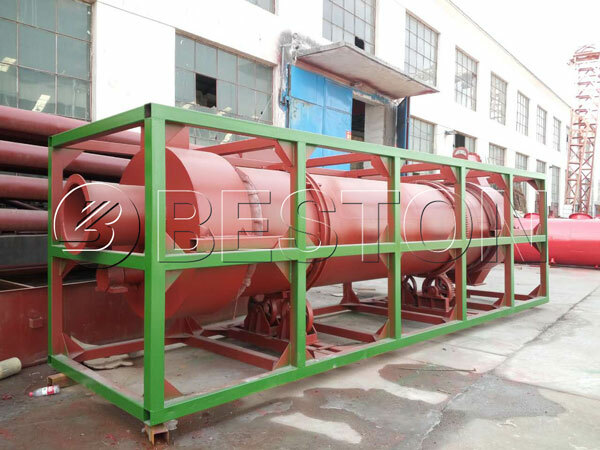 So Beston Machinery has developed the waste sludge treatment plant (also called sludge carbonization plant), which is also a kind of sludge to energy project. 1. 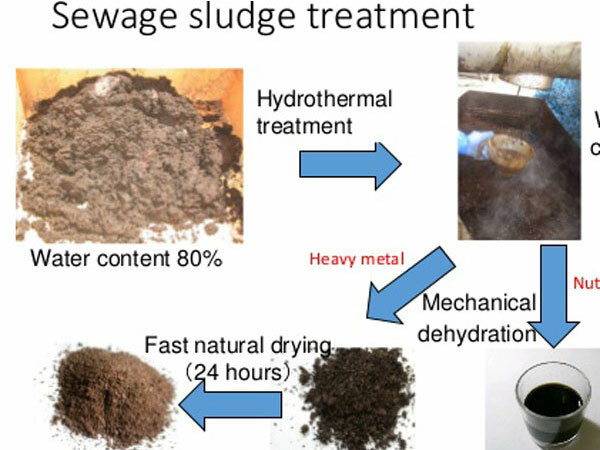 In general, the moisture of the sewage sludge generated by waste water treatment or industrial waste treatment is quite high, so the sludge treatment system needs to be equipped with a dryer device to guarantee the moisture of sludge is less than 20%. 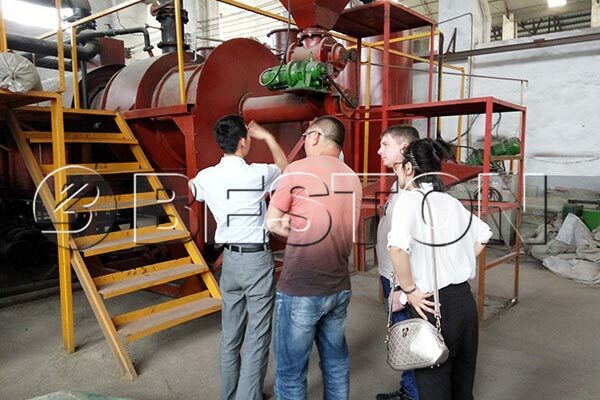 The pretreatment step can guarantee the quality of end products and reserve more charcoal contents. 2. We usually use coal, wood or natural gas as fuel to heat the carbonization furnace for 30 minutes until there is combustible gas generating. The combustible gas is the major burning fuel material in the sludge treatment process. 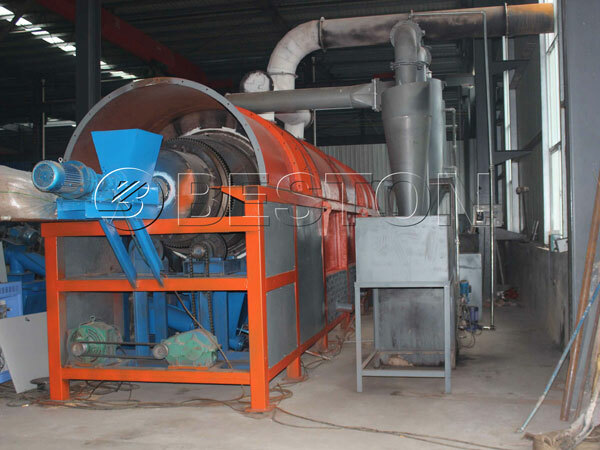 After purified by spay dedusting system, the combustible gas will be recycled to heat furnace and dryer device instead of traditional fuel, which is the famous charcoal making technology of one fire with two steps. 3. The charcoal will be produced simultaneously with the combustible gas in furnace. 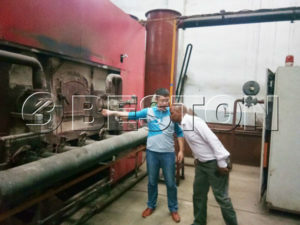 Due to the high temperature of hot charcoal, at the first step, we should use cooling system to reduce the temperature of charcoal, and then stored directly, which can guarantee the security of the whole production process and more efficient. 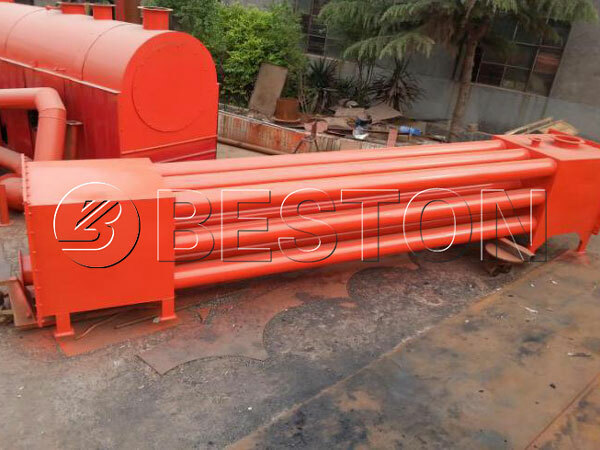 Through high temperature pyrolysis, smoke discharge, sulphur emission and charcoal enrichment of waste sludge disposal technology, finally we can get carbon, which is a new energy source and can be widely used in living life, industry and agricultural. Besides, the sludge management process also generates some combustible gas, which can be recycled for heating furnace or dryer to achieve the goal of one fire with two steps. 1. PLC control system can make the whole sludge carbonization process more convenient and intelligent, which can reduce the manual power and sludge disposal costs to increase working efficiency. 2. Casing can be said a protective film of furnace and it can not only reduce the heat losing, but also can prevent works from scalding. 3. The automatic monitor of pressure and temperature can guarantee the best working quality and security of whole sludge management process. 4. Sludge treatment facility runs under the condition of fully sealed and will not contact with air directly, so as to avoid the occurrence of dangerous accidents. 5. Rich production, sales and exporting experience and top-rate service. 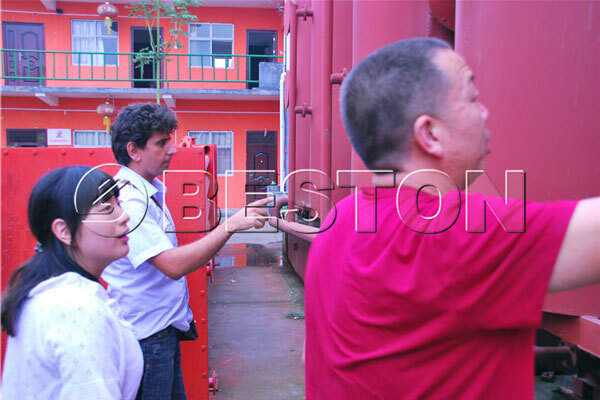 In short, Beston sludge treatment plant has outstanding production technology, rational structure, superior working performance and high working efficiency. Apart from waste sludge, the machine can also dispose biomass materials, such as coconut shell, rice husk, peanut shell and palm shell, etc. What’s more, our sludge disposal technology has been accepted by the public and got fine reputation in the international market.